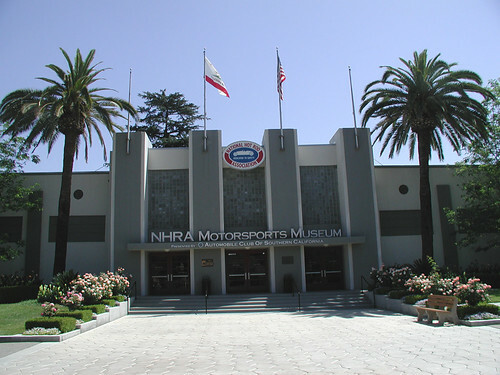 This is the NHRA Museum at Pomona and we took a little tour around this great landmark yesterday. 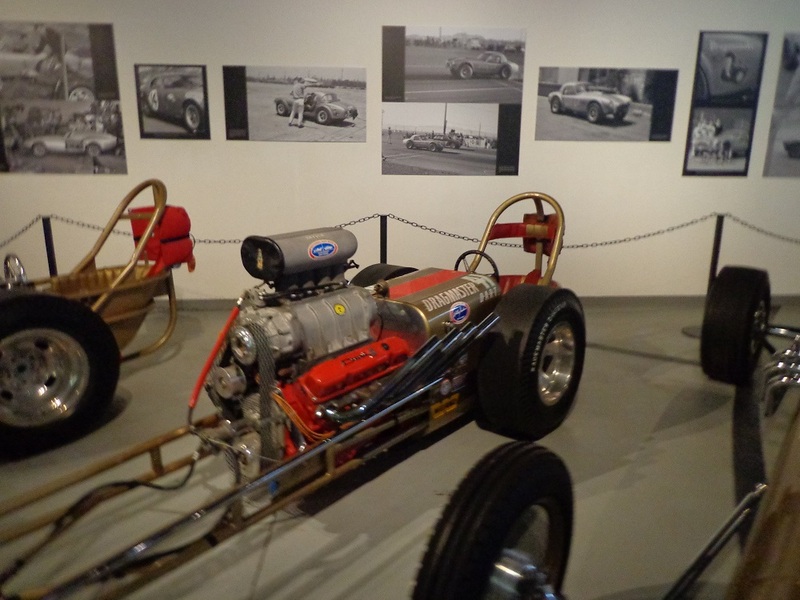 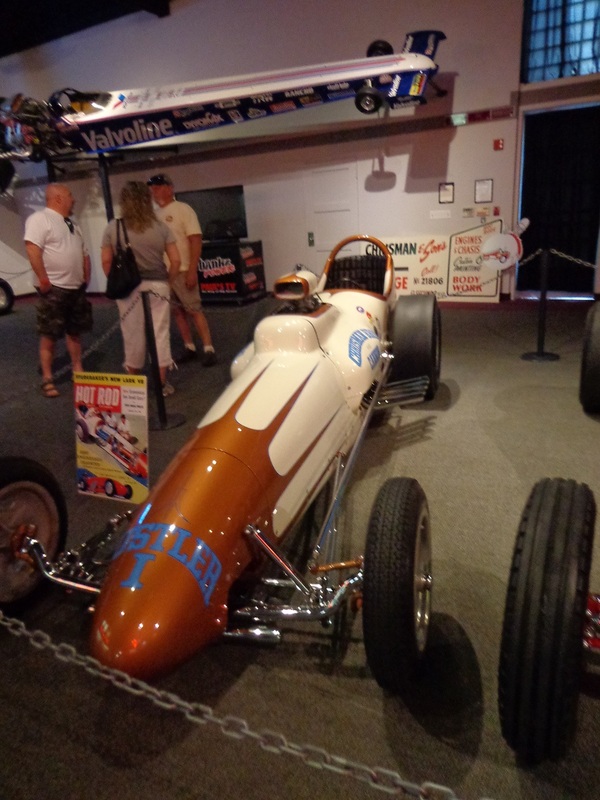 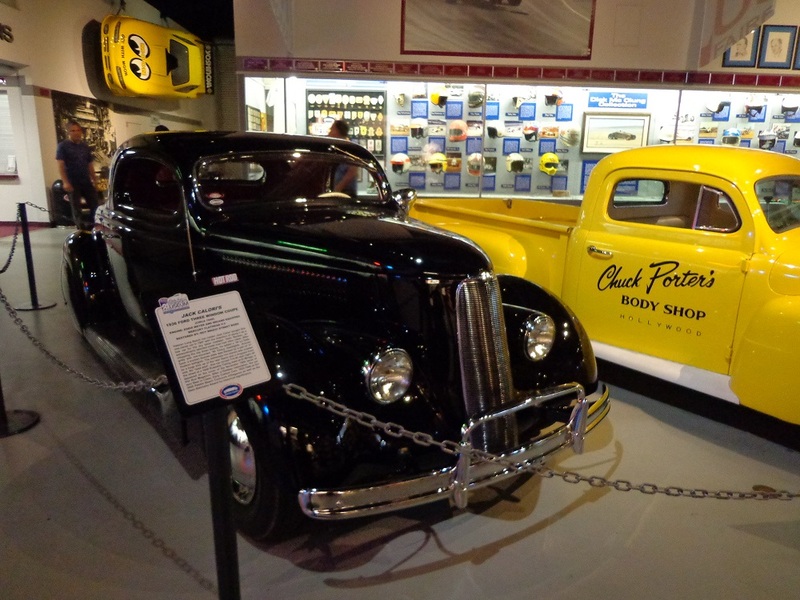 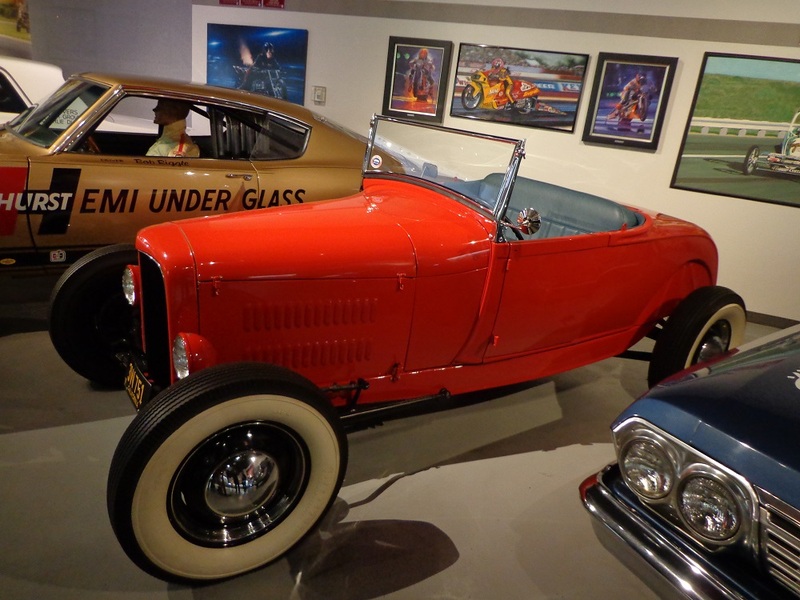 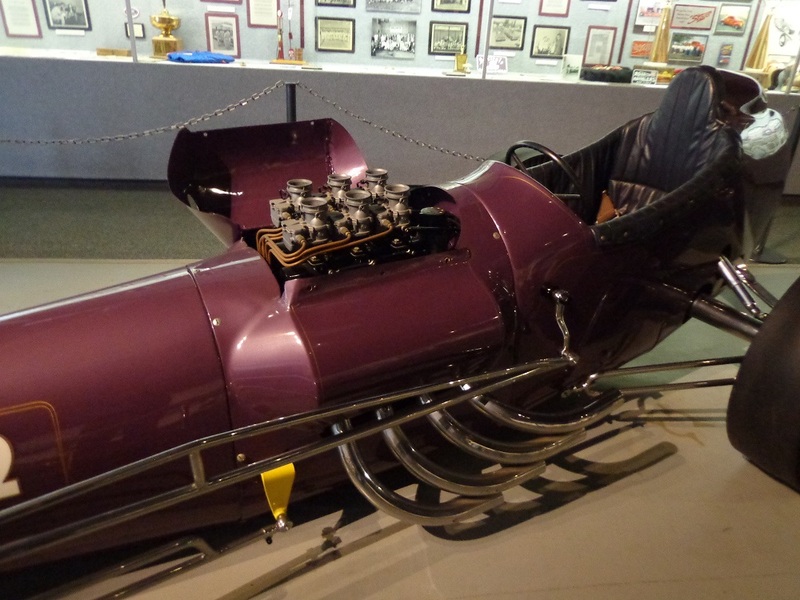 If you ever get to Southern California, it is a great museum to visit if you are into Hot Rods, Customs and Drag Racing etc. 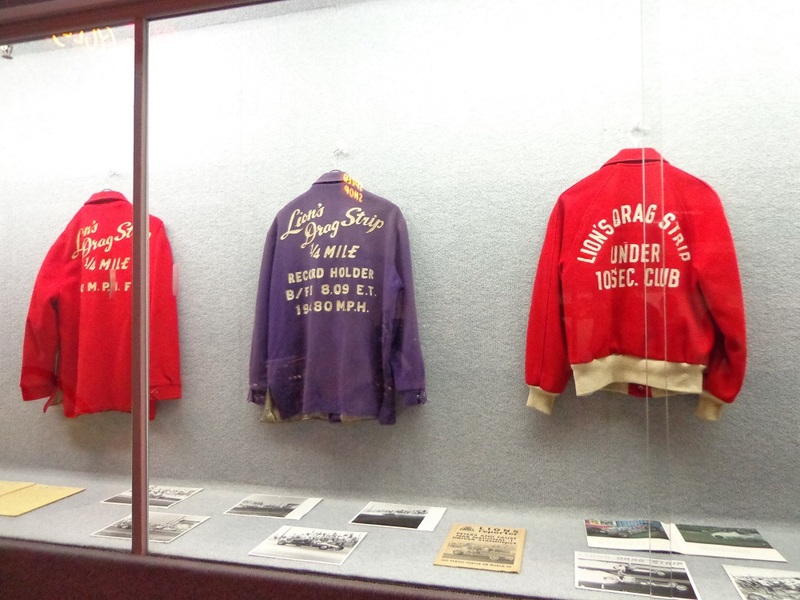 So much history here for you to see and hard to believe that these are still around. 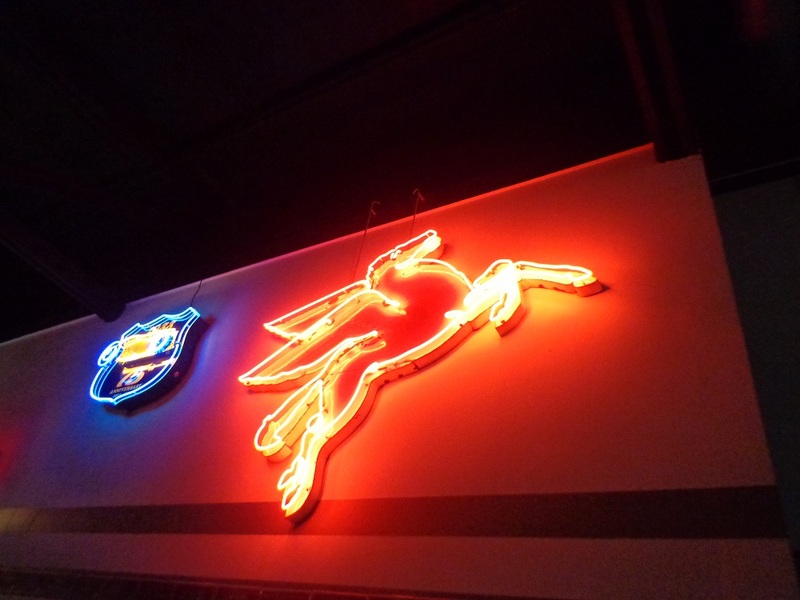 Cool Neon signs there too. 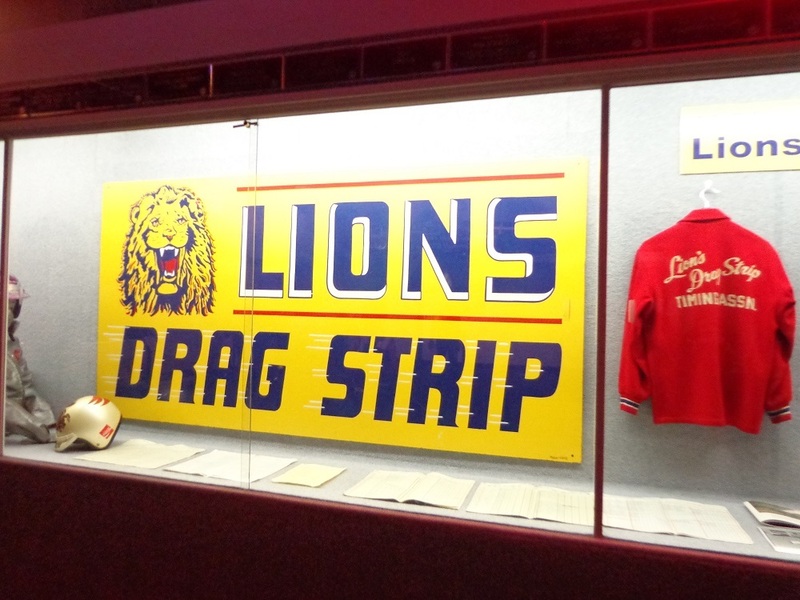 Original Lions Drag Strip sign and rare Club Jackets to see as well. 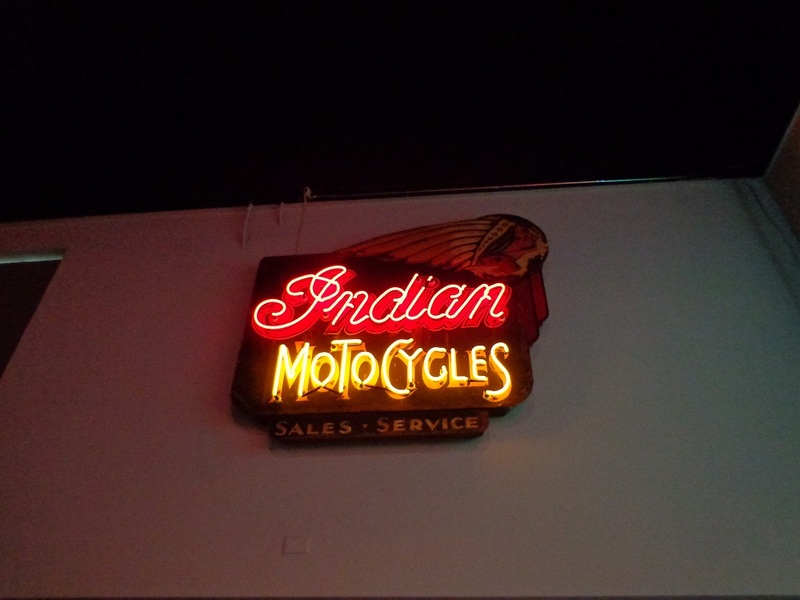 I love the Vintage Indian Motorcycles sign, would look great in the garage. 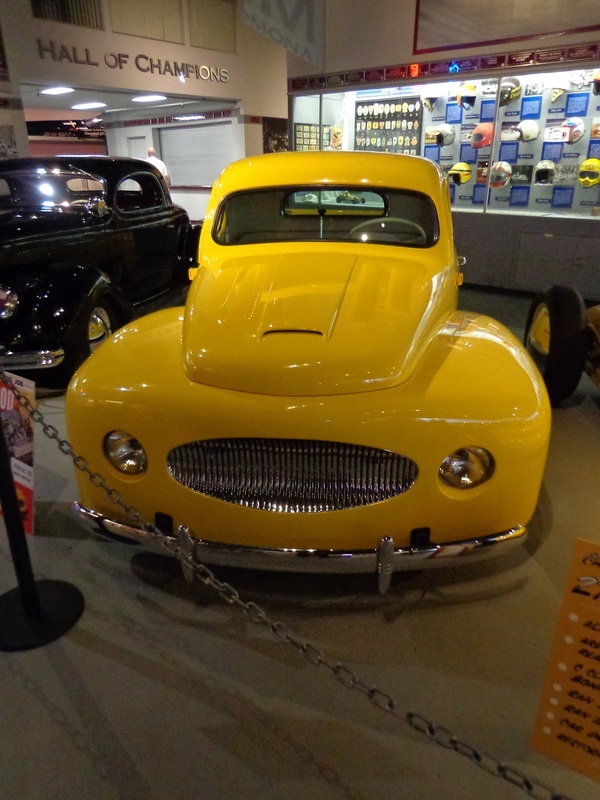 The 36 is a cool ride but when slightly Customized it is unreal, I love the LaSalle grille. 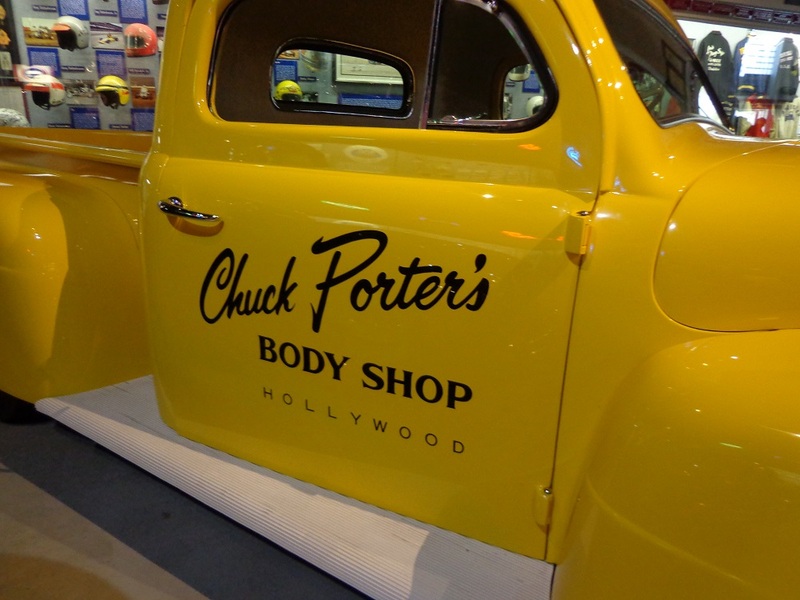 Chuck porters truck is something I remember when it was on the cover of Hot Rod magazine back in March 1955. 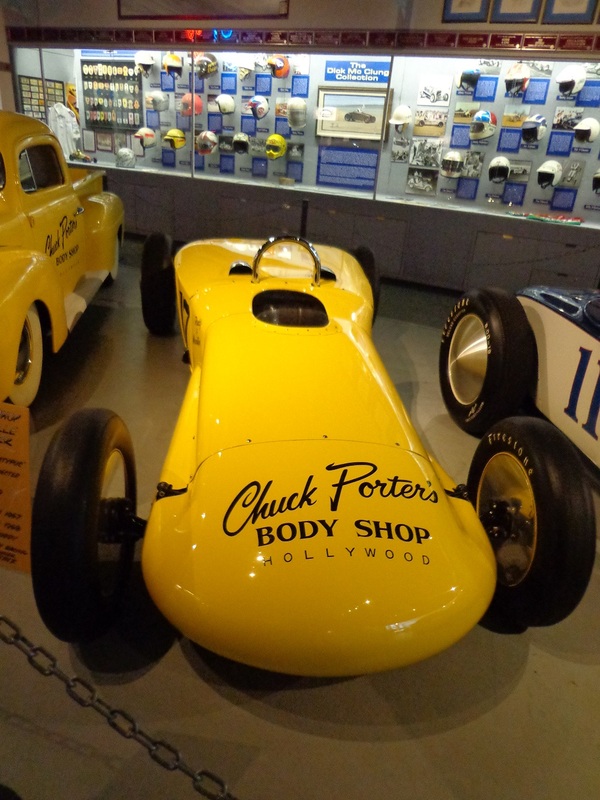 This truck must of turned many heads back in 55 as there were not too many Yellow trucks around, other than Moons. 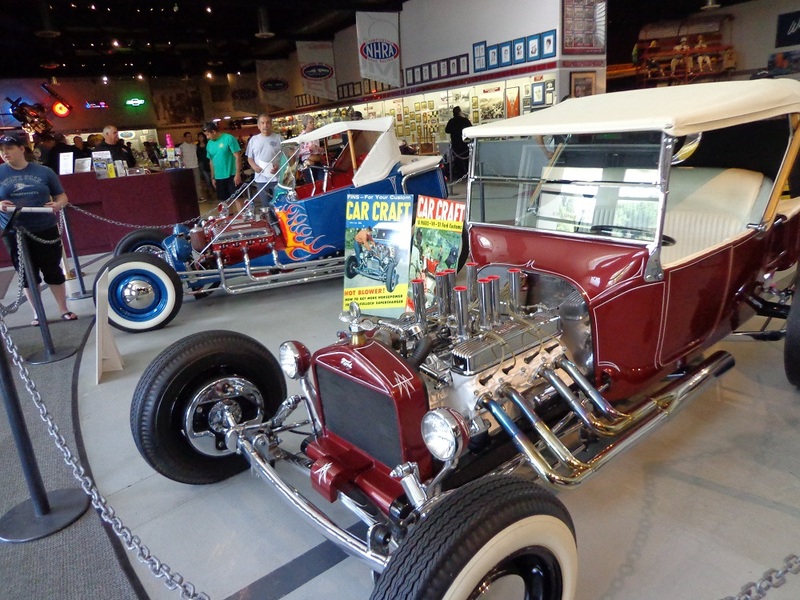 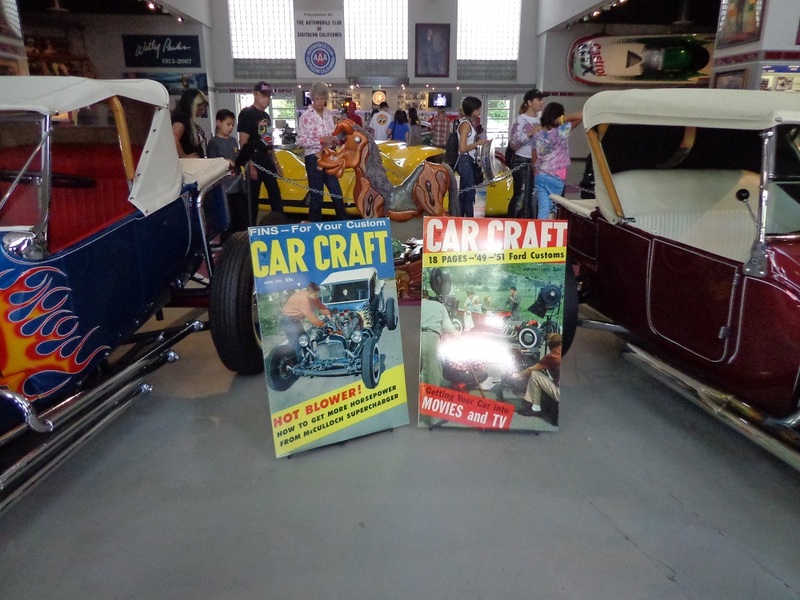 MOONS have always been synonymous with Hot Rodding and so nice to see their cars here at the museum for everyone to enjoy. 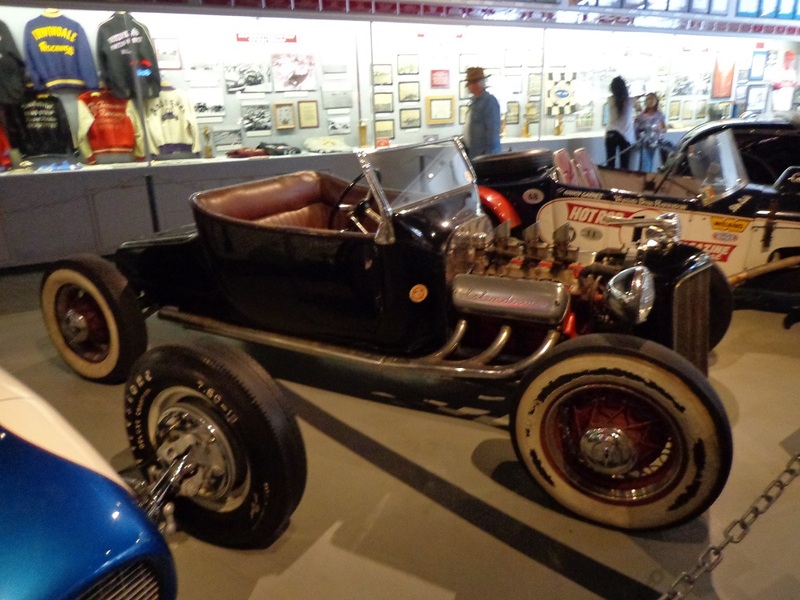 The Cam Father , Ed Iskenderians Original Model T roadster with Maxi heads on Essex rails is my all time favorite Hot Rod and I still see him around. 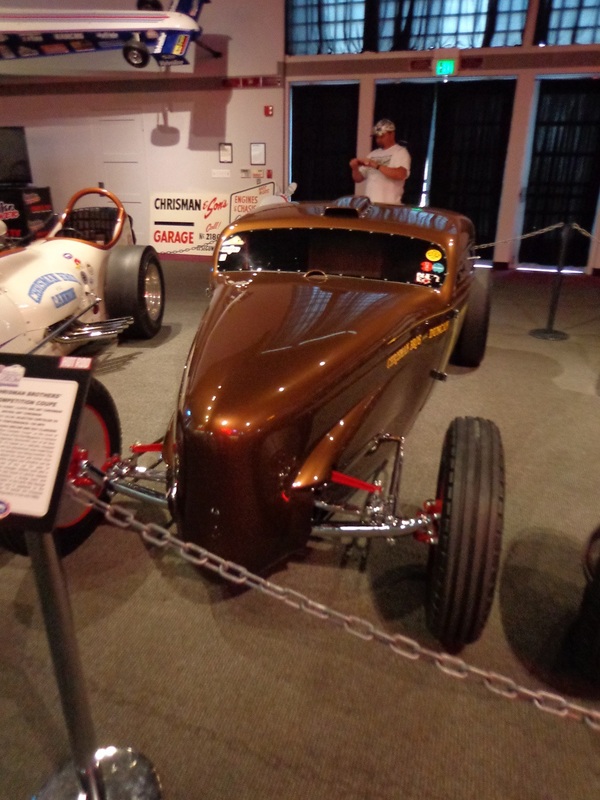 Two great Hot Rod and drag racing Icons in the day were Norm Grabowski and Tommy Ivo. 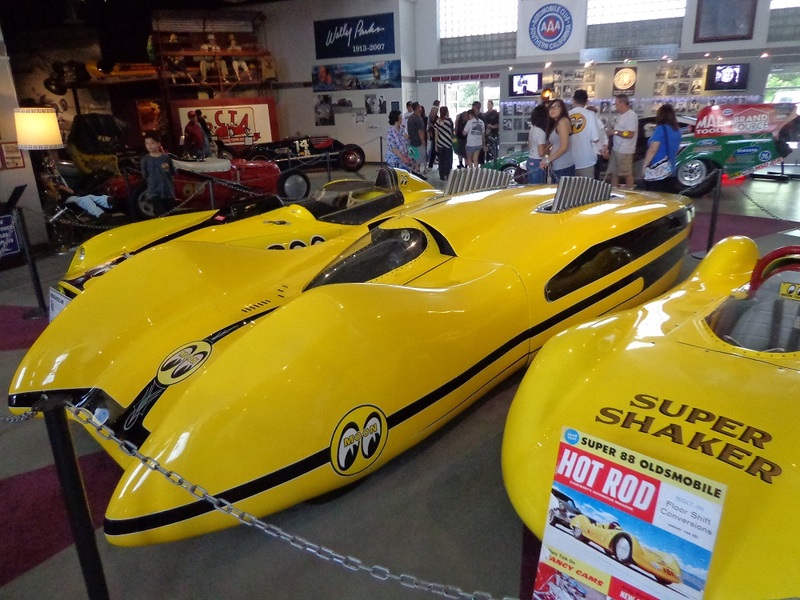 These are their rides. 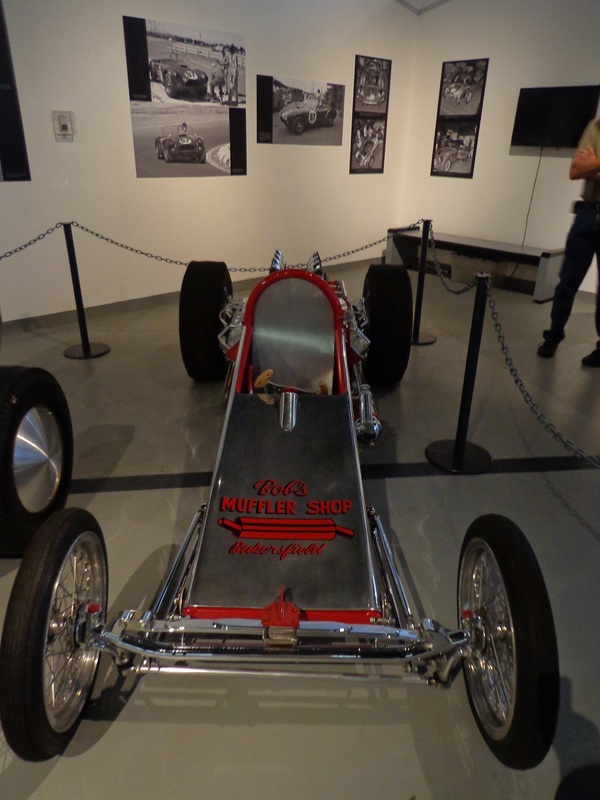 Sling shot dragsters are just MAD !!!! 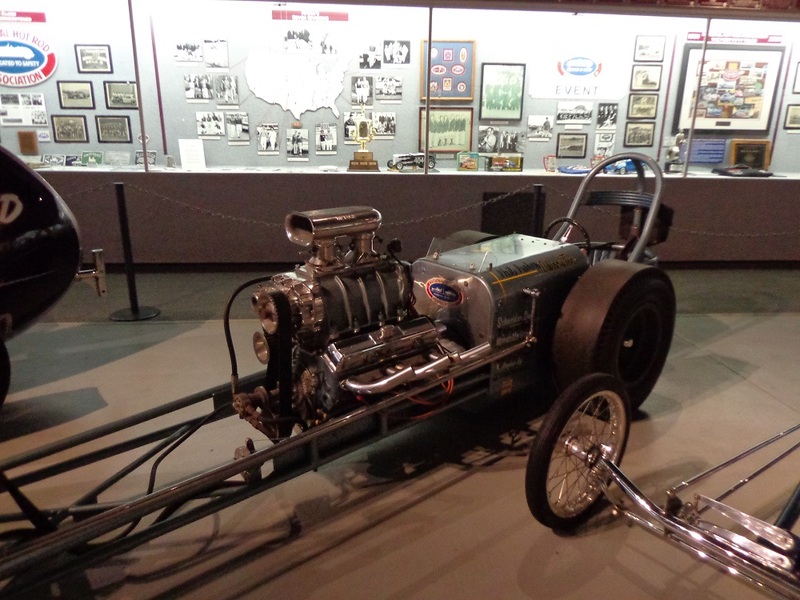 These are so great to hear fire up and watch them run full bore on the 1/4. 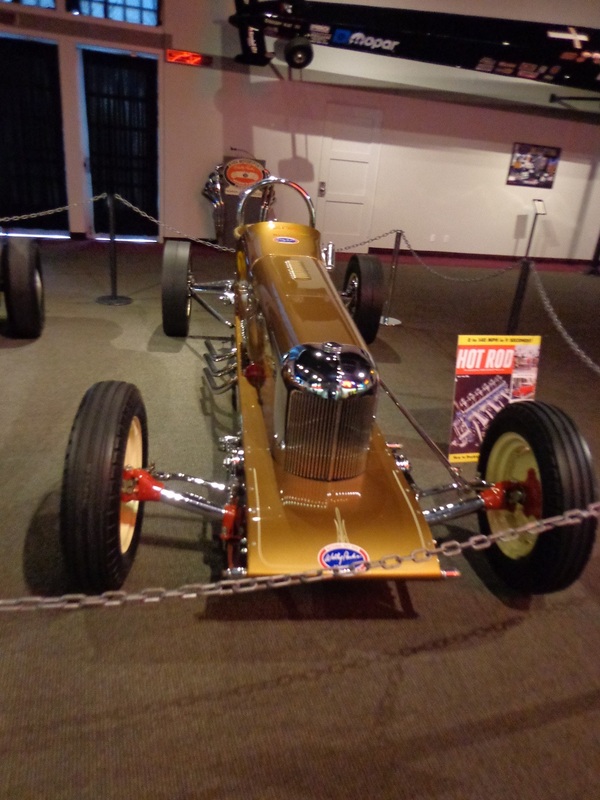 The infamous drag-master, you were in trouble if you matched up against this machine. 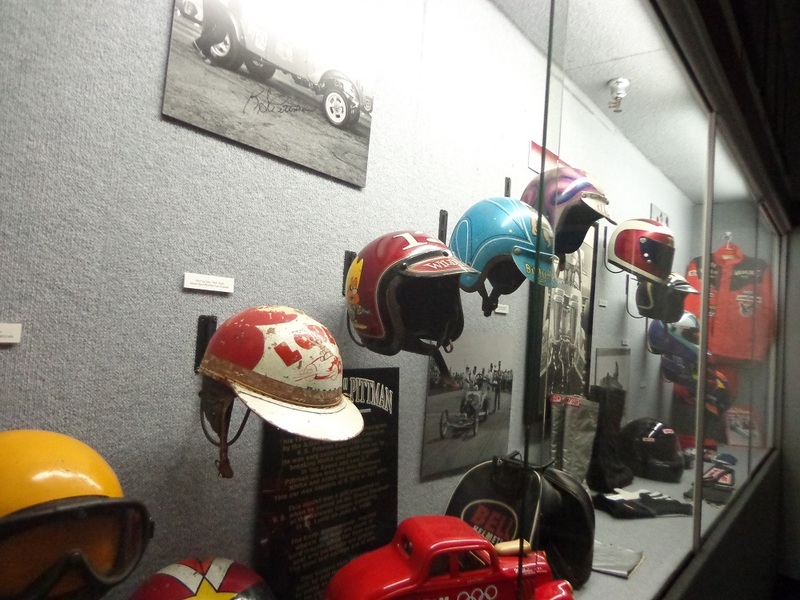 Great collection of Vintage helmets. 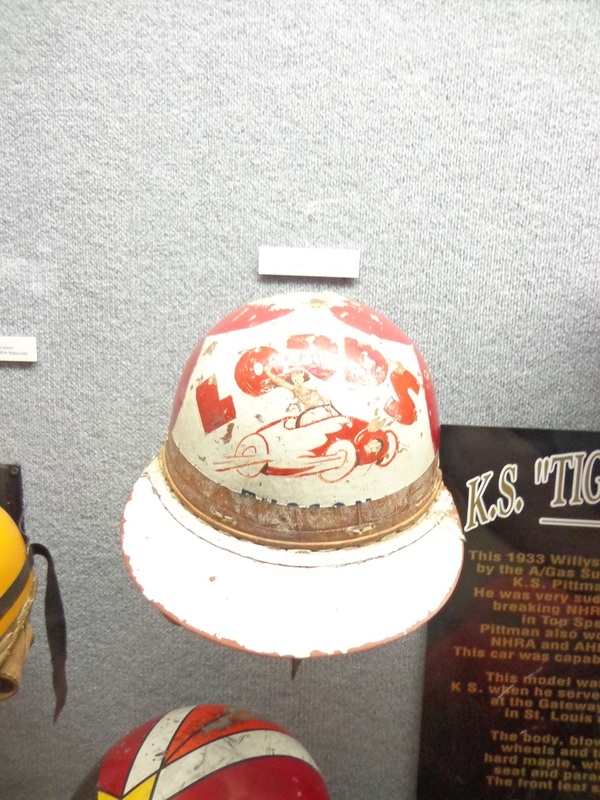 I dig this super early skid lid. 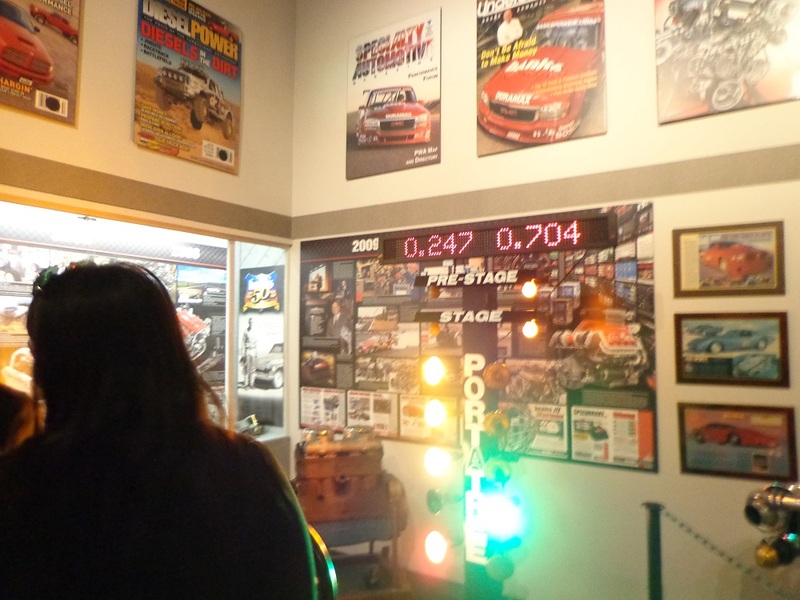 Dakota and his mum Jennifer have a go at the lights. 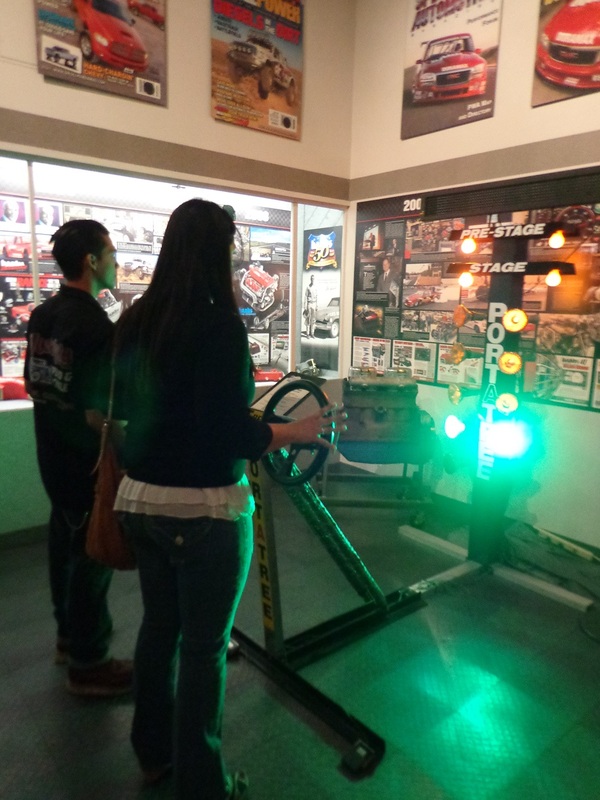 Dakota red lights, Win to MUM ! 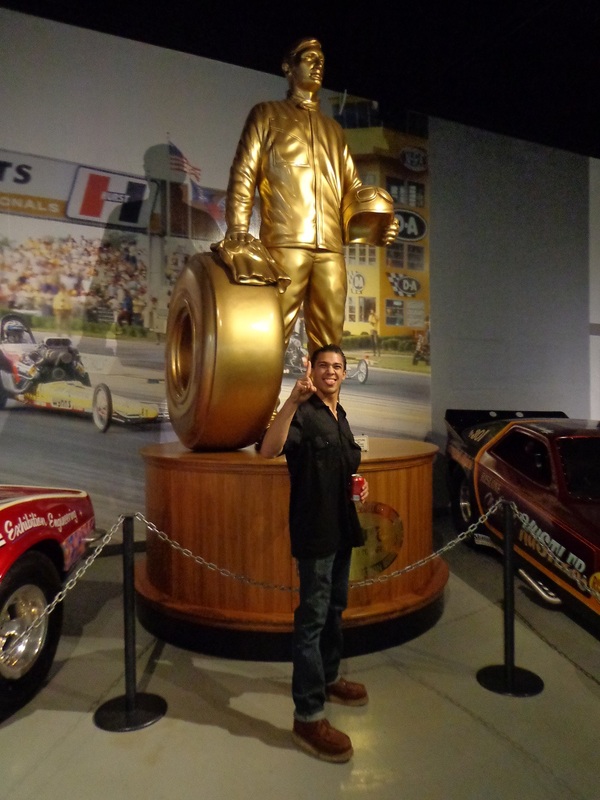 Dakota Races his drag bike on weekends ( Kawasaki 1400 ) But he settled into this ex John Force Funny car no problem. 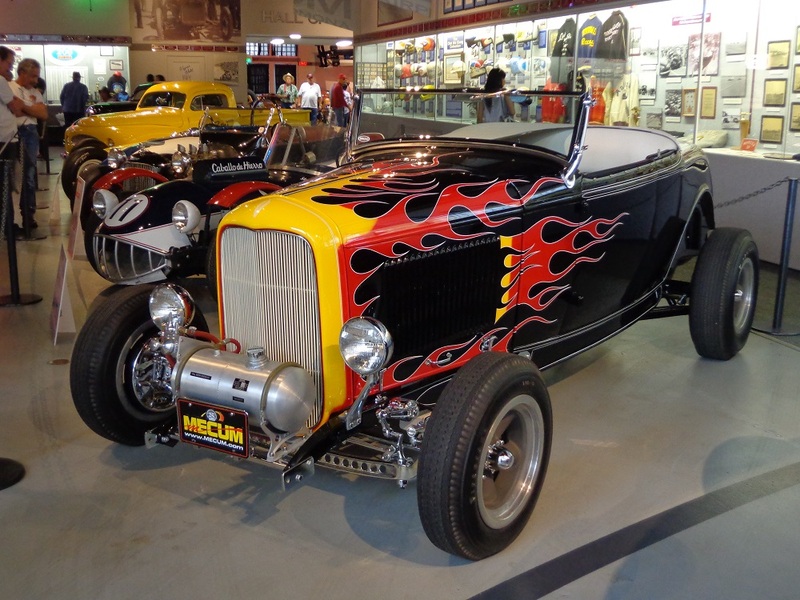 Super AV8, the Model A Roadster on 32 rails, I love this era so much. 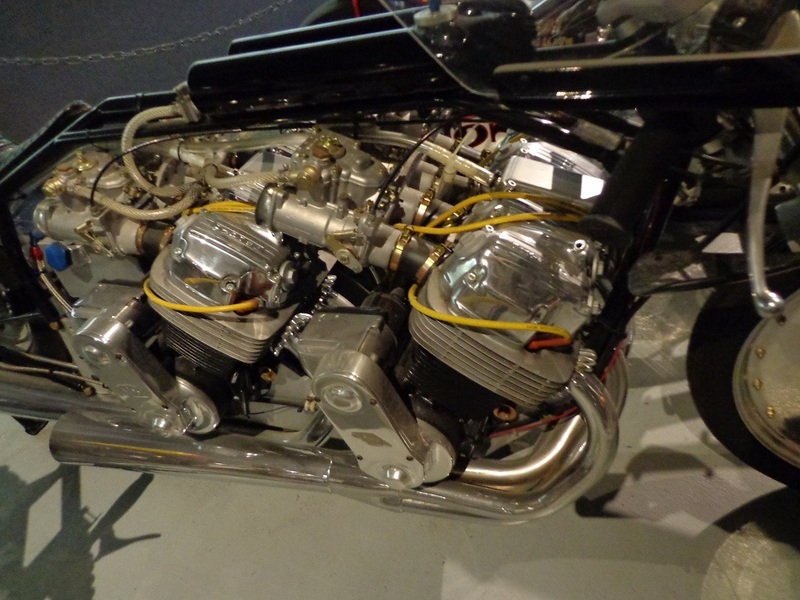 Twin CB750 motors in the Vance and Hines drag bike I just loved this. 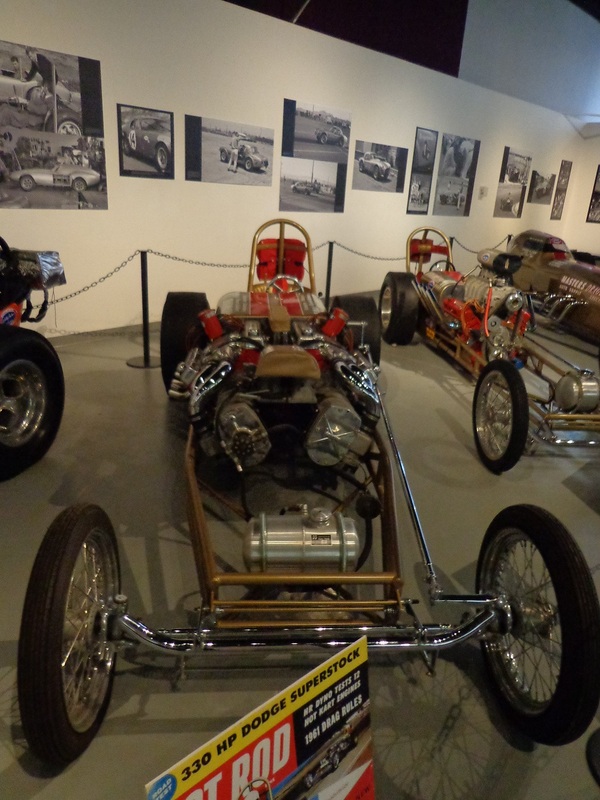 And stood in awe for sometime. 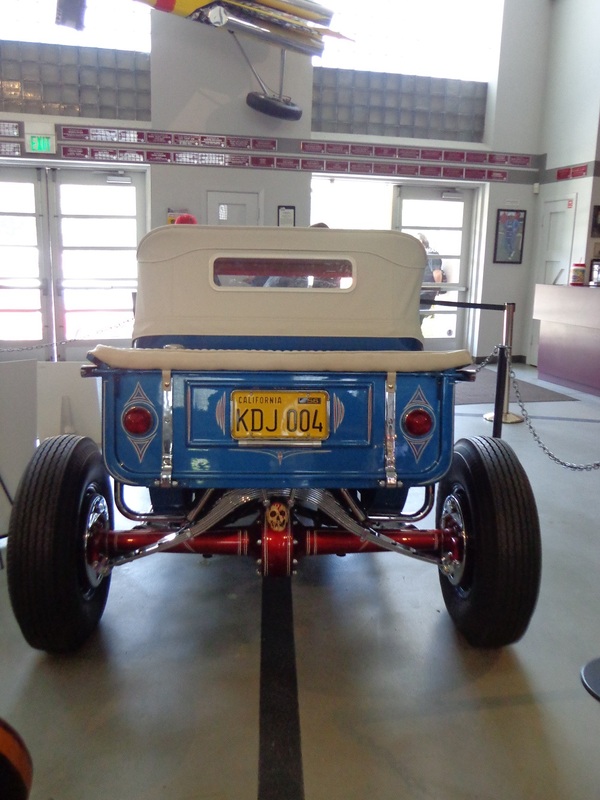 A great visit and I will visit again as they change the line up through out the year and in the summer they have a cruise there. 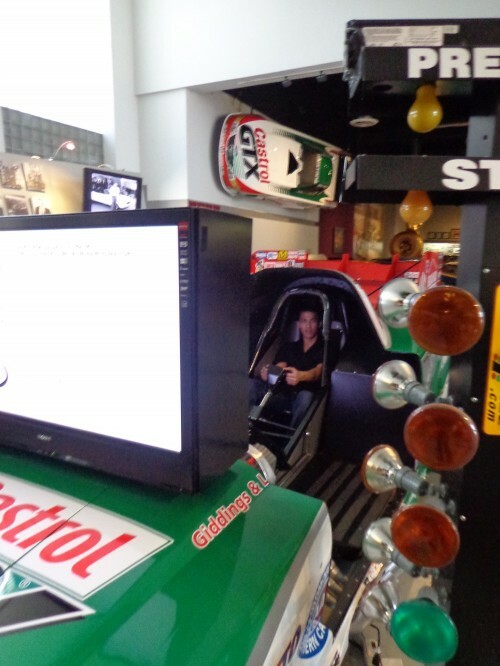 When you are good at racing , you can win a Wally! 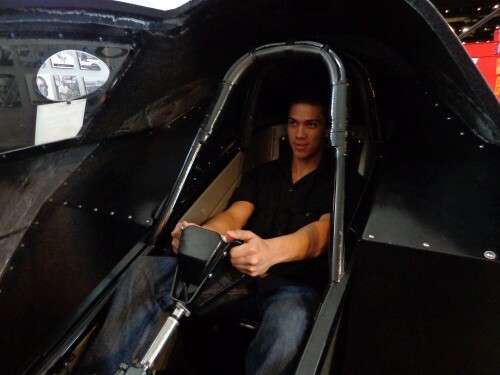 Kota actually has one that he won last year. 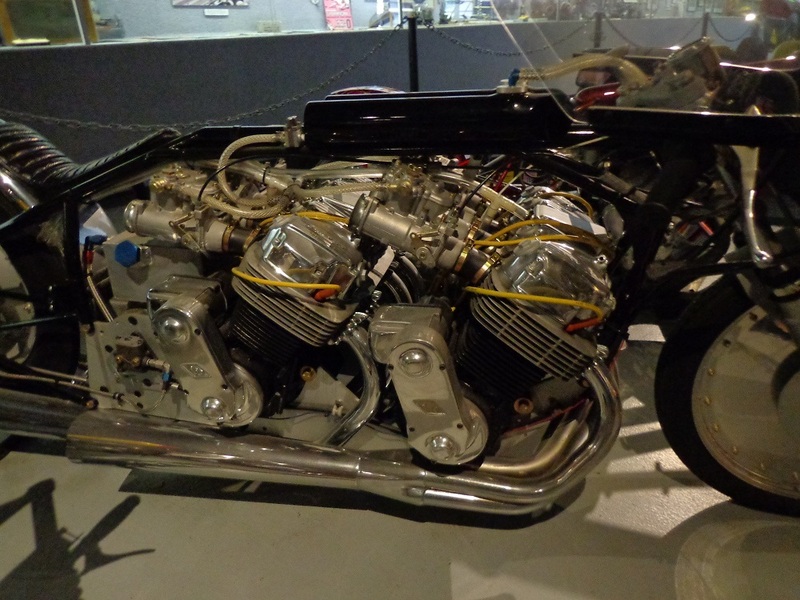 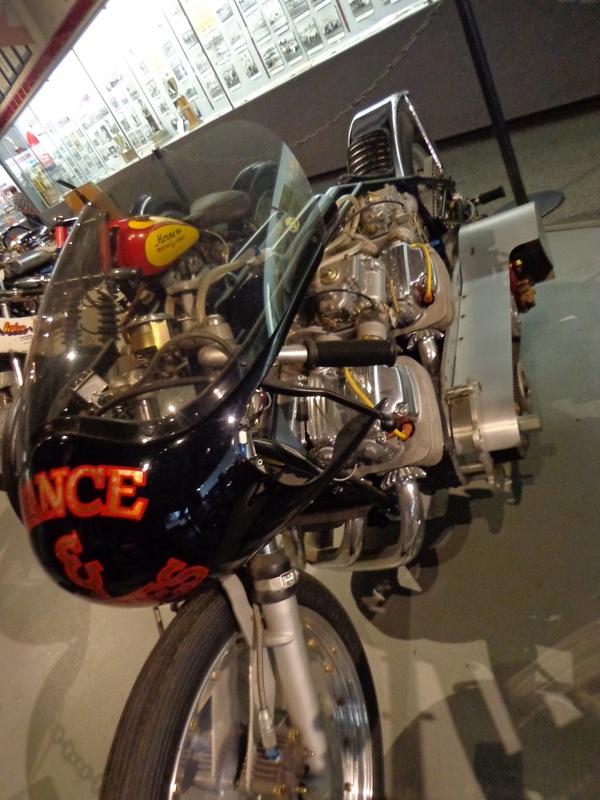 This entry was posted in Blog and tagged cafe racer, cb750, custom car, drag racing, hot rod, ton up, vintage.